Iodine is an essential element which is required to manufacture thyroxine and other hormones for the body. Hormone producing sites other than the thyroid gland depend on iodine. e.g. the adrenals, thymus, ovaries, hypothalamus and pituitary. 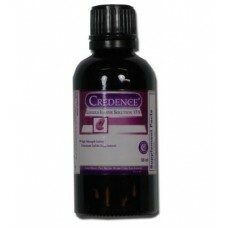 PLEASE NOTE: If you are pregnant, breastfeeding or on medication, especially thyroid hormones, please consult your doctor before using, as this product enhances the response of your body to thyroid hormones. DOES NOT contain Salt, Starch, Wheat, GMO ingredients, Maize, Gluten, Lactose, Yeast, Dairy products, Artificial preservatives, Dyes or Colours. Click [HERE] for detailed information about Iodine and the best ways to use it and check to see if you have suficient levels in your body.